The countdown is on for a huge event coming to Michigan, and its drawing big interest statewide. Barley BBQ & Beats will be in Grand Rapids, Cadillac and Detroit this May. The unique event is almost like a celebration of summer. It features Michigan’s skilled barbecue makers, distilleries’ whiskey cocktails and live music performers. But these homegrown favorites are also helping a cause that hits close to home for many. Proceeds go to Hospice of Michigan, an organization that cares for people in the sunset of their lives. “We love this because it’s a great way in hospice and end of life care to celebrate life, and so we look at this as a great toast to the people that we’re honoring, that we care for in hospice care,” says Marcie Hillary, with Hospice of Michigan. The Copper Kettle Distilling Co. in Prudenville will be among the featured distilleries, making craft cocktails like its Kissed Russian. “It’s our salted Carmel rum with our non-alcoholic coffee liquor and a half-and-half,” says mixologist Loretta Czada. And Reedy’s Restaurant in McBain will also be there for the big event in Cadillac at the Wexford Civic Center. 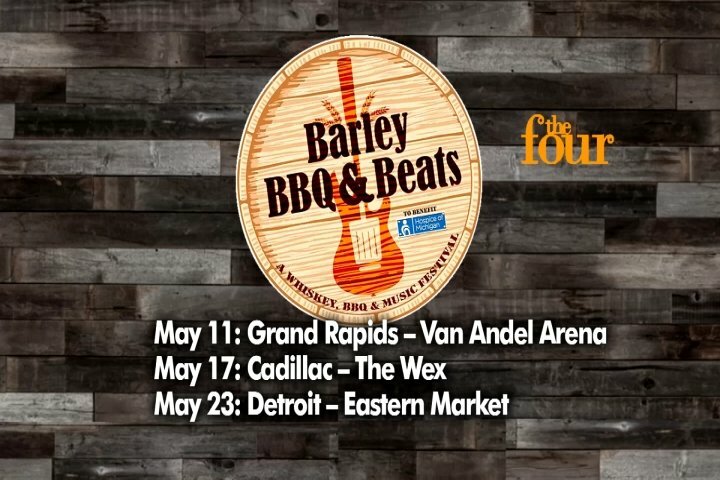 Barley BBQ & Beats will be in Grand Rapids on May 11, Cadillac on May 17, and Detroit on May 23.